New York City Writing Project – The Connected Teacher-Centered Trap? 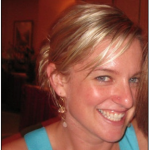 This Connected Learning Month guest blog post comes from Christy Kingham, an NYCWP Teacher Leader who has taught middle and high school students for the past 10 years. This past summer, Christy co-facilitated the Youth Voices Inquiry Project alongside NYCWP Technology Liaison Paul Allison. Christy and Paul will also spearhead the fall phase of the Youth Voices programming, which is currently accepting applications. In addition to teaching, coaching and Youth Voices, Christy also blogs at www.christykingham.com. Connected learning has been a part of my teaching life since around my second year of teaching when I started a class blog around independent reading. That was about ten years ago. I wanted students to have a digital way to talk about what they were noticing as they read. My first stab worked well, and since then I’ve designed an increasingly connected curriculum. Working with the NYC Writing Project and Youth Voices has helped me to constantly layer and incorporate connected learning in my classroom. As an instructional coach, I’ve been able to work with others in this realm, as well. I use online portfolios, Youth Voices (www.YouthVoices.net), GoodReads, online annotation, blogs, GoogleDocs (for writing and digital conferences), and a few other digital sites. Connected learning is, by nature, a student-centered aspect of the classroom. There’s something I’ve been noticing lately, though, which is that timely feedback is a very real challenge. As I write this post, I have a digital pile of work to respond to. I’m not sure which is more daunting: the physical pile of college essays I keep shoving in my bag each afternoon, or the digital pile that grows exponentially in my mind without tangible methods of measurements (MBs and Gs just float. 90 physical essays is a STACK). I believe in providing timely, meaningful feedback, and try not to ask students to produce a piece of writing without said feedback. But am I accidentally creating a teacher-centered morass? Shouldn’t my students be working on fluency and stamina digitally, just as they would were we a paper-and-pen-only class? Is it ok for them to keep creating without my feedback, or will they be led astray by practicing writing and analysis skills that need coaching? How can I support them in working together on their learning in a student-centered, participatory way, so that they aren’t as dependent on me as their teacher to respond? I have systems; oh I have tried so many systems! It’s not the systems, it’s that students produce and “hand in” work more quickly when it’s digital. They don’t have to be in front of me. In this wall-less and time-less classroom, they can click submit and there is their work, ready for feedback. What a great problem to have–students consistently producing meaningful work! This is what I’ve always wanted, and now that I have it, I fear I may be a road-block because I simply can not move as quickly as they can. This morning I woke up at 4:30am with a start deciding to just keep it simple by writing an email to each student in response to their outstanding digital work. I know sometimes they just need a few tips or encouragement to move on, but I also wonder how much digital feedback is enough. How can I reconcile my desire to provide timely, meaningful feedback with the fact that I could never move as fast as 90 digital portfolios come flying in? As I continue to take layers off of digital pile, I ask the NYCWP community, how can we avoid being a teacher-centered blockade? How can we transfer assessment methodologies to the connected classroom in a way that makes sense for all involved? To respond to Christy’s questions, or to share your own ideas about supporting student digital literacies and connected learning in the classroom, please visit the NYCWP Forum thread designated for conversation surrounding this blog post.